You probably hear the “breast is best” mantra everywhere you turn. The reason why the message is so pervasive is that breast milk can’t be beat in terms of benefits for baby (and mom). Formula companies try to come up with a powdery composition that mimics breastmilk, but they simply can’t create the same unique properties that our bodies engineer automatically post-labor and delivery. Some studies also indicate that breastfed babies have higher IQ’s, have less chance of being asthmatic, are less likely to die of SIDS, and are less likely to become obese. Finally, breastfeeding may help moms to lose weight faster and prevent subsequent pregnancies from happening too quickly. 1. Breastfeeding saved us money. La Leche League reports that the least expensive formula costs $134 a month and the most expensive formula costs $491 a month. Multiply that by 12…at the least, you’ll spend $1,608 on formula. If you go with the pricier brands, you could end up spending over $6,000! If I compare that to the amount I spent (um…$0), there really is no comparison. 2. Breastfeeding forced me to slow down, relax, and enjoy my baby. 3. Breastfeeding helped me “bond” with my baby. 4. Breastfeeding was more convenient (no bottles, no stirring, no heating). With all of those benefits (for both you and baby), you might as well give it a shot. If you have questions or need some support/encouragement, you can join a La Leche group near you. WIN IT! One winner will receive The Womanly Art of Breastfeeding, Seventh Revised Edition, published by the La Leche League International. To enter, simply leave a comment and your e-mail address prior to Friday, January 4, at midnight. Winner will be contacted and announced on Saturday, January 5. * Winner must provide a U.S. mailing address. * UPDATED * The winner is #30 dinahk2. Congratulations! Thanks for posting this info! I have been breastfeeding my daughter for 13 months now..it is natural and just seems “right ” for us..but now that she is past one year old, I am starting to get questions from family/friends..I can just TELL others are wondering why I continue to breastfeed!? Oh well, I KNOW that it is the best thing for me and my daughter! i love nursing my son! I would love to read this book. People swear by it! It’s a wonderful book. Thanks for doing the giveaway! Ah,the Bible of Breastfeeding. Wish I had this when I first started breastfeeding, but would still LOVE a copy. Oooh! This is great and I’d love to see more women feel able to breastfeed and not feel attacked with “aren’t you finished with that YET?” talk. This book is great ammo for that and I’m gonna need it for baby #2 coming in May/June. I would love a copy of the Womenly Art! I have 4 baby showers to attend in the next 2 months. This would be a fantastic gift to give at one of them! Stopped breastfeeding my son early in the game due to lack of support. Now ready to try it again with number 2! Great book! I’d love to win a copy to share. I still haven’t read this book! I’d like to add one caveat to the weight loss through breastfeeding issue–it doesn’t always happen. I have been battling to lose the last 15 pounds of my pregnancy weight, and I’ve fought hard to do so. Breastfeeding doesn’t always cause weight loss. While it is the best choice for nourishing your child, don’t count on it to be a quick weight loss tool. Do it for the other reasons as there are zillions of them. It’s the best choice I’ve ever made! This is THE best breastfeeding book out there. I love to give it at baby showers. Count me in…I have tons of pregnant mom friends that I would love to send it to! I’ve heard great things about this book. I’d love to check it out for myself. Thanks for the giveaway. I’ve been nursing for 13 months now with no end in sight. I’d love this book! I can share it with friends and family and use it for my own reference. I love breastfeeding my daughter! I would love this book for my sister-in-law who is hoping to conceive soon. I’ve heard so much about this book and would love to finally read it! :) What a great resource! Enter me please…I am a proud bf’ing mama! I am planning on BF this baby due in March so this book would be great! 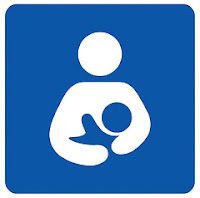 I called La Leche League many times with trouble with my first baby breast feeding. It was a grueling process to start, but beyond rewarding in the end! She eventually breast fed for 13 months & it was one of the most triumphant experiences of my life. As I get ready to have my second baby (a boy this time) on 01/27/08, I hope that I have as wonderful an experience with his as I did with Annabelle. Just wanted to encourage anyone considering breastfeeding to do it! I nursed my son for 14 months and my daughter for 26 months! Neither child ever took a bottle. I’m glad I could do that for them! my best friend is expecting and this would be a great gift! I love La Leche League! I would love to have a copy…to this day they are the only reason I was able to breastfeed my first daughter!! Thanks! ooooh! Please randomly select me! I’d love to win this, as I plan to breastfeed when my son arrives in March. I just hope it works out ok, as I’ve heard some stories about babies not latching on, etc. But I’m determined not to give up! I hope many many women read your series on breastfeeding…There is still a knowledge gap even today! I was at Whole Foods washing my “pump equipment” and a worker asked me what I was doing…I told her and she asked me…why breastfeed? What are the advantages/benefits? : ) I’m smiling because I LOVE that she asked me…and I had probably more information for her than she really wanted! Thanks for your post! haven’t read this one yet but it comes highly recommended. thanks for the review! i’d like to read this- please enter me! I just wanted to add a benefit – it burns calories! If you’re lucky this will help you get rid of the baby fat faster than without the breastfeeding.